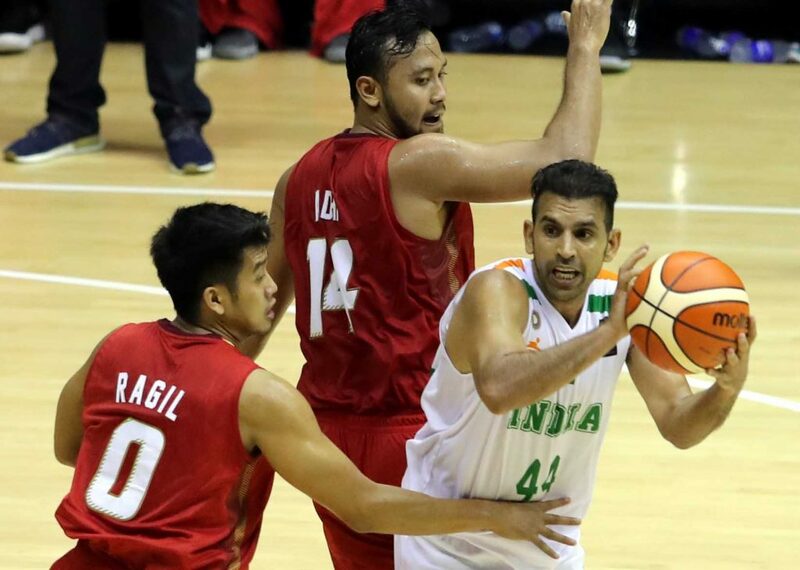 Bengaluru, 10th February 2018: The Indian Men’s team recorded their first victory beating Indonesia 66-55 at the 18th Asian Games Invitational Tournament 5×5 Basketball Test Event Road to Asian Games 2018 being held in Istora Sanayan Hall, Gelora Bung Karno Sports Complex, South Jakarta. Indonesia gave a tough fight to the Indian team until the third quarter as India held on to a one-point lead. But India took the game away in the final quarter outscoring Indonesia 20-10. India’s veteran point guard Joginder Singh led the team with 19 points, 11 rebounds and 7 assists which included five 3 pointers. Aravind Annadurai (16 points) and Satnam Singh (11 points) continued their scoring consistency. Avan Seputra of Indonesia led his team with 13 points. India’s third game is against Timor Leste on 10th February at 19:00 Hrs (17:30 Hrs IST).